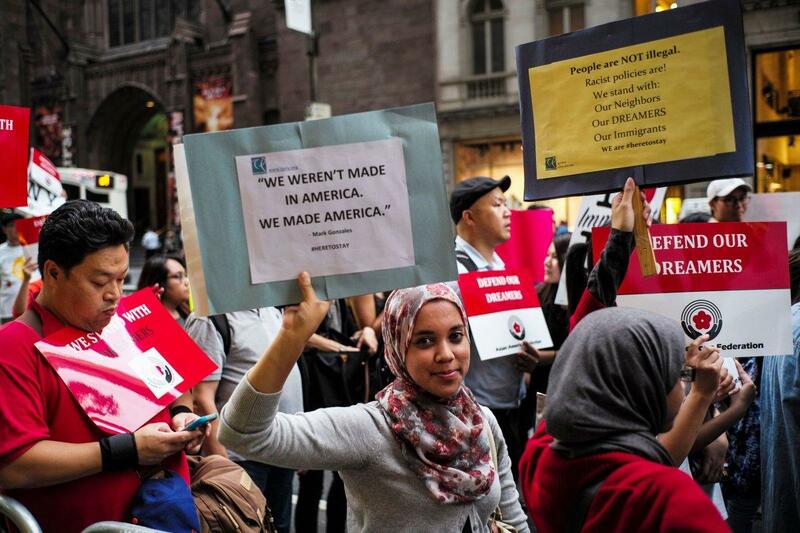 Dozens of DACA protesters gathered outside Trump Tower in Midtown on Thursday, rallying against the uncertain future of the program. 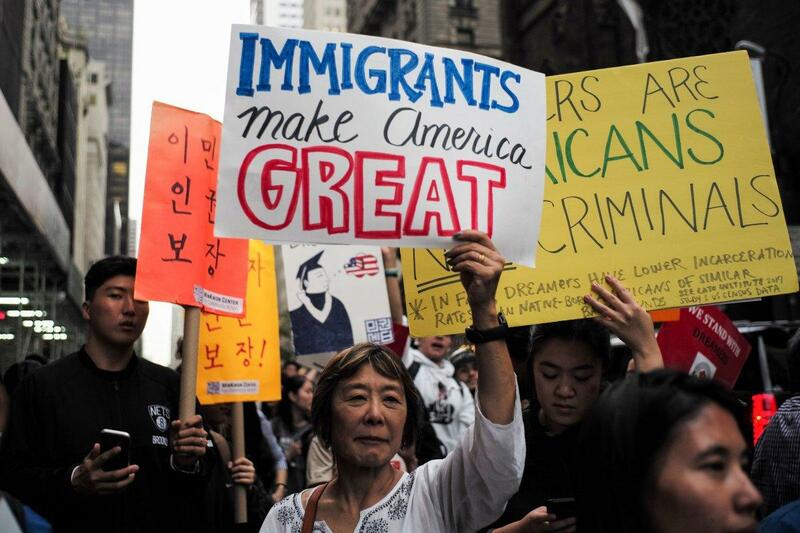 The demonstration against President Trump’s decision to phase out the Deferred Action for Childhood Arrivals program was organized by the Asian American Federation. 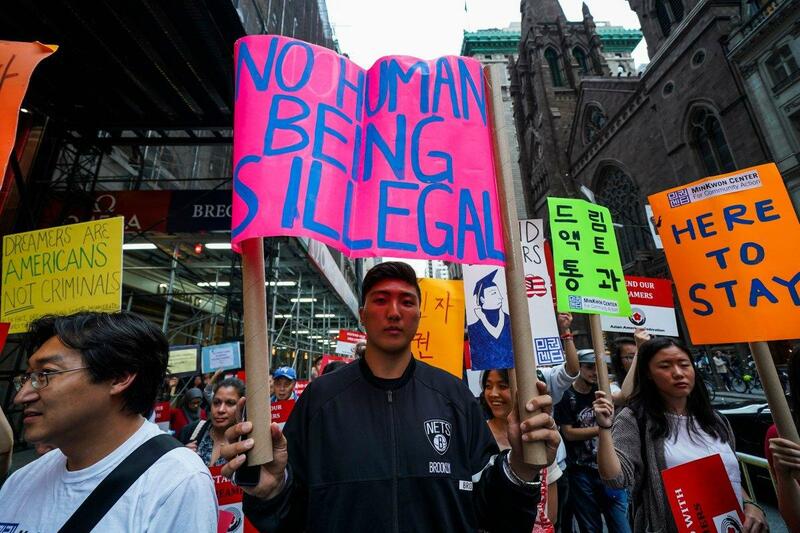 “I’m here because I think it’s really important for Asian Pacific Americans to show solidarity for immigrant communities to pass comprehensive immigration reform legislation,” said law school graduate Michelle Lee, 25, who lives in Manhattan. Thursday was the deadline for those protected from deportation by the program to apply for renewal. Congresswoman Grace Meng (D-N.Y.) — joined by City Controller Scott Stringer and Manhattan Borough President Gale Brewer — offered words of encouragement to the crowd.